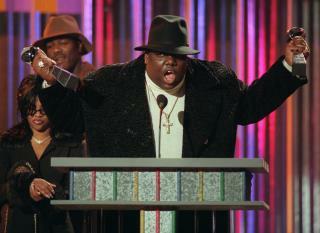 (Newser) – The director behind FX's acclaimed People vs. OJ Simpson miniseries is set to tackle another true crime drama, this one based on the unsolved deaths of rappers Tupac Shakur and The Notorious BIG, also known as Biggie Smalls, the AP reports. The Hollywood Reporter says USA Network has ordered a pilot for Unsolved, which will be directed by Anthony Hemingway. You can take the thug out of the Hood; but you can't take the Hood out of the thug.. Waste of money, Tupac isn't dead. Mo money, mo problems - Biggie leaned the hard way.